With a newborn baby, packing for a holiday was never going to be easy. I’ve tried making lists upon lists, and I’m now perfectly aware that it’s easy to pack everything but the kitchen sink despite the fact we're only going away for a few days. I’ll be honest, I will definitely overpack, and chances are, I'll definitely forget a good few bits we probably need. Given that it's a short winter break, as long as we a few certain essentials packed away with us, we should be able to make do, so I've made sure to look out our winter essentials for traveling with a newborn. Unfortunately we're not jetting off to the bahamas - if only: winter sun is nothing but a dream on the scraps of maternity allowance - we’re simply heading down to London for a weekend. It'll be bitter, cold and probably more stressful than needs be, but it's a break, and everyone could do with one of those to pick us up from the January Blues. It goes without saying there are many more essentials I'll need to pack with a baby - these are simply the ones you might not think of straight off the bat, but could make a big difference to your little one... We have gone off of recommendations from Water Wipes and Michelle Comrie, a midwife at Southampton Princess Anne Hospital to help us collate this list, and it should help us to keep Harrison content over our Winter Weekend. We’ve previously been using Johnsons’ Bedtime Lotion after bath time - and I’ll be honest, we’ve had no issues. I’m perfectly aware of all of the debate around Johnsons’ and the chemicals contained within, but Harrison did not have sensitive skin, and we had no problems with it. 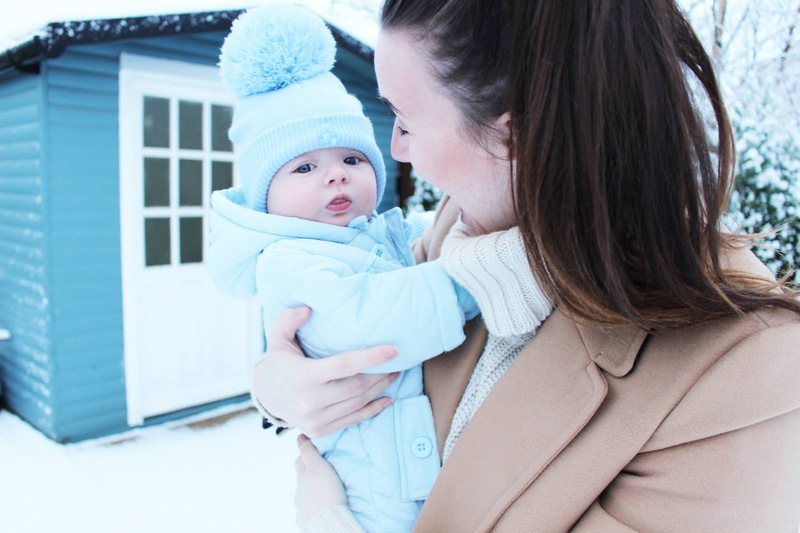 In winter though, with the temperature dropping, bundled layers of clothing can irritate dry skin, nappy rash, chapped lips and even ‘dribble-rash’ for teething babies. With the skin being so much more sensitive, I’m determined to try and make sure everything I’m using on Harrison’s skin is as good for him as possible. It can also help with cradle cap, baby acne, dribble rash, nappy rash and so much more, so it’ll be one of the first things we’re packing away. We’ll be using it after bath-times, and on his lips and cheeks when we head out to explore to try and keep his skin as moisturised as possible and create a barrier to that chilly biting wind. Our Coconut Oil was just the first one we found in Holland and Barratt, although you can pick it up cheaper here. 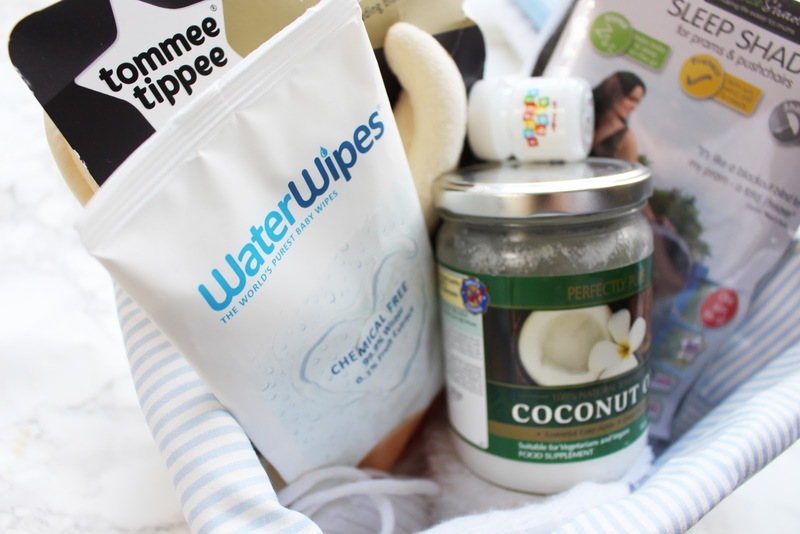 Water Wipes are the perfect wipes for using during the Winter period: they are completely natural and recommended by midwives (made with 99.9% purified water and 0.1% fruit extract). 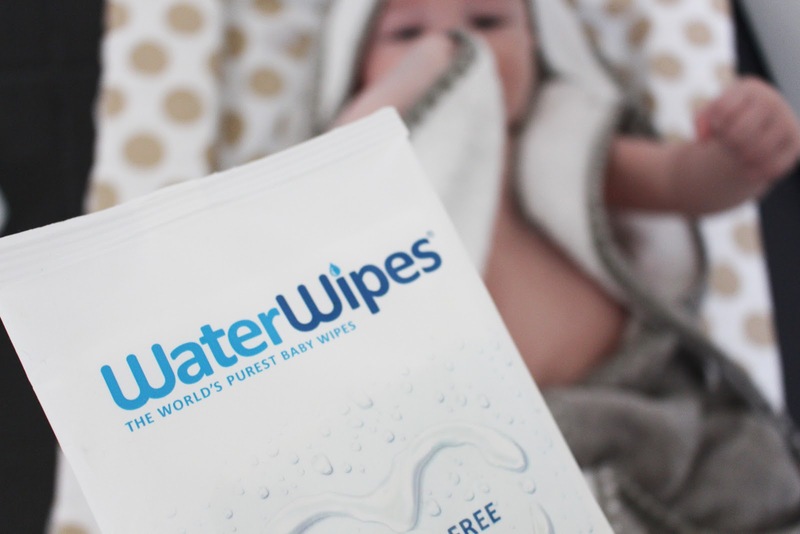 Free from the chemical irritants found in other wipes - such as alcohol or fragrance, WaterWipes can help to cleanse and revive your baby’s winter skin. There’s no oily residue left, and they are renowned for being a natural skin reconditioner. Without sounding to scientific here, they are also really wet. That will sound odd to anyone who hasn’t had to battle with a Huggies baby wipe, but let me tell you, there is nothing worse than a baby with a sore bum and a wipe that is sticking and pulling at their skin. Side note, the travel packs are perfect for slotting into the changing bag of someone who has packed everything bar the kitchen sink in their (aka me). These were something I’d never expected to need: Tommee Tippee had sent us a few of their dribble bibs at the end of last year, but if I’m honest I didn’t expect to like them as much as I do. With a teething baby, and freezing temperatures, dribble rash is not something anyone needs to be dealing with - cracked, drying skin is painful for anyone, never mind a 3 month old. The cushioned neck means that any dribble is caught and absorbed instead of gathering in his neck and creating a rash - and provided we use a wipe to clean the skin around it, the dribble is not effecting him in the slightest. There’s plenty of different dribble bibs out there, it just so happens that these are the best quality ones we’ve tried, and the 5 pack are perfect for popping in our travel bag. In January we abandoned swaddling after little H’s legs got too long - and I thought life as we know it would be over. We live in sunny Scotland, where temperatures are borderline permanently freezing in the winter months, although we have very good central heating, everything still feels just that little bit chillier, and I can’t count on the same standard of central heating when we travel. Packing a baby sleeping bag means we are guaranteed to have a safe way to keep Harrison warm all night, with the option of removing it if we happen to have an excessively warm hotel. We currently switch between a Tesco, a Morrisons and a GroBag sleeping bag everynight, and I’m going to go ahead and say we’ve found no difference in all three - shout out to the supermarkets for producing high quality winter gems! 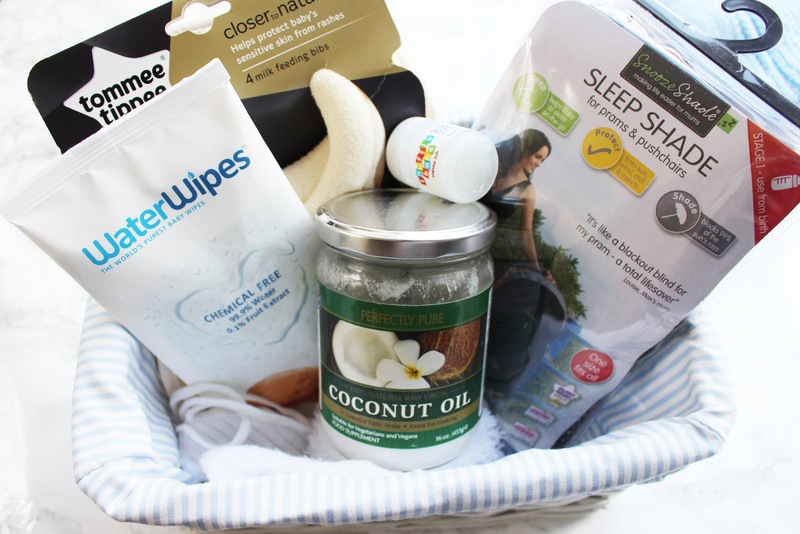 Maintaining the same sleep routine will hopefully keep him sleeping well (as well as my little sleepless baby can sleep), so we will also be bringing along our regular sleep nest. Our snoozeshade is something we’ve only managed to really get the use out of in the last few months - the Winter Sun can be blinding, and sleep is sometimes all a baby needs to revive everything. A snooze shade is a pram cover, which blocks out the harsh rays. I originally thought this was just for summer, in the brighter months, but no, if anything, the ability to block out both the rays and the nippy wind has been and will be a savior when we’re dragging a pram through the busy streets of London! One thing that I had never realized about babies skin in Winter, is that long hot baths can actually be more detrimental than they are good. Baths that are too warm can actually dry out the skin, and it is also recommended that you keep them between 5-10 minutes. As much as he loves the bath, Harrison tends to get a bit restless after 10 or so minutes anyway, so we've had no problem taking him out then. We'll be packing a little cheap bath thermometer, just to make sure the bath isn't too warm for him - although pre-warning, they can become a little bit addictive. I now won't get in my own bath without checking that it's the perfect temperature. I'm packing this as a precaution and I'm praying that we won't have to use it again. I call it baby vicks, it's not really vicks at all, it's Snufflebabe, but the outcome is the same. 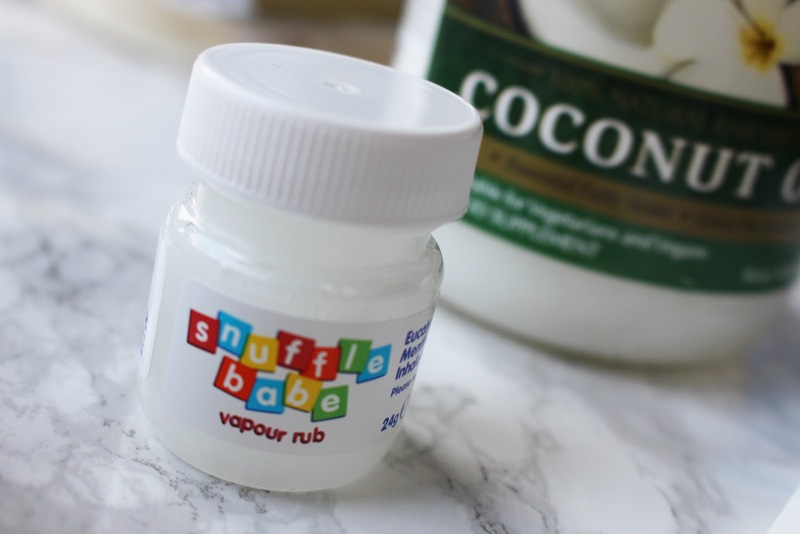 You rub it on the soles of your baby's feet, and it magically offers relief from congestion. It was brilliant the last time we used it, but as I say, it's only four days, fingers crossed we won't need it. In the chilly weather though, and with the sheer amount of people in London in such close proximity, catching a cold is definitely possible, so we are better safe than sorry. As I've already mentioned, there are hundreds upon hundreds of baby essentials required to travel - that much is obvious from my excessive amount of luggage for a long weekend, these are simply the ones that spring to mind as game changers. It's so important to be aware of the increased sensitivity of your little one's skin during the winter, and making sure it's kept moisturized and free from irritants can make a big difference to how your Winter Break pans out. I'm praying our essentials will come in handy (apart from the Snufflebaby - we DO NOT want the cold! ), and we can make it through London without a hitch. Have we missed anything? What are your Winter Essentials for traveling with a baby? *This post was sponsored in collaboration with Water Wipes - however, as with all my posts, every opinion is my own, and I have an avid user of their products regardless of this collaboration.